Mark has 17 years of experience as a project manager and project engineer on various state and local engineering projects, especially those involving transportation, water, and wastewater. 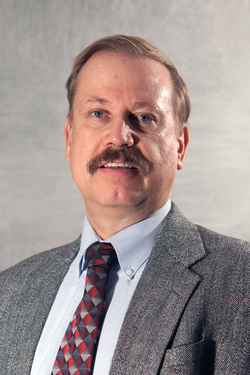 He has extensive experience with pipeline assessment and rehabilitation design, including inspection of pipes, identification and evaluation of pipe defects for a variety of different pipe materials, preparation of rehabilitation Capital Improvement Programs, evaluation of environmental impact factors, rehabilitation alternatives, recommendations, and construction administration. Throughout his career, Leo has been involved in large-scale projects, including master planning projects, utility and site development, hydraulic analysis and planning, and roadway and bridge design. In addition to his technical capabilities, Leo has experience in public involvement and educational presentations and has assisted various agencies with funding procurement. Lars leads the PEC landscape and environmental division and has 17 years of experience working for various agencies as a project manager, regional environmental manager, and landscape architect. While employed by UDOT, Lars developed working relationships with regulatory agencies such as the US Army Corps of Engineers, the Department of Environmental Quality, and the State Historic Preservation Office. His environmental experience includes Phase I and Phase II environmental studies, underground storage tank removals, biological evaluations with threatened and endangered species, and wetland delineations and mitigation plans. Several municipalities have hired PEC specifically for Lars’s unique skill set for environmental clearances including the Cities of Orem, Draper, West Jordan, South Jordan, and Syracuse as well as Utah County and UDOT. Tom is a senior project engineer with over 24 years of experience in civil engineering and project management. He has been involved with design plans for water and sewer line construction, water and wastewater treatment plant design and construction, highway and airport construction, railroad design and construction, and structural design. He has supervised projects including electrical engineering, mechanical engineering, storm water, landscaping, geotechnical investigations, materials engineering and inspection, structural engineering, flood control engineering, architecture, construction management, roadway, highway, traffic and traffic signal design, surveying, environmental engineering, and archaeological investigations. His value engineering services has provided PEC with an excellent reputation for keeping projects time- and cost-efficient. Mike has 25 years of experience in Civil Engineering. His project experience varies from storm drain assessment, to grading and drainage, to storm drain design, and floodplain modeling. His experience includes the design of detention basin facilities totaling over 1400 Acre Feet. He has modeled hundreds of square miles of urban, rural, and mixed watershed hydrologic and hydraulic analysis. Mike has designed on-site and off-site storm drains and other protection facilities for over a hundred of miles of freeways, highways, and other roadways. He has also worked as a field engineer for the construction of storm drain, irrigation district facilities, water/wastewater, and sewer treatment collection systems. Steve is co-founder of PEC and has an extensive background in all phases of the design of master planned communities, municipal and governmental projects. 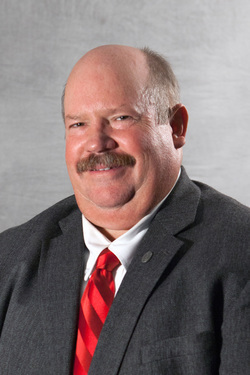 He has 32 years of experience in the management and design of highways, major streets, sewer projects, water projects, hydrology studies, feasibility studies, utility studies, pump systems, field surveys, and construction management.